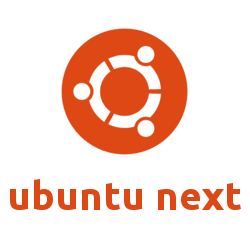 The beta 2 release of Ubuntu 15.04 Desktop, Server, Cloud, and Core products was announced today, codenamed “Vivid Vervet”. Ubuntu 15.04 comes with Linux Kernel 3.19. The default desktop Unity 7.3 brings many bug-fixes and locally integrated menus for unfocused windows. This release also ships Compiz Window Manager 0.9.12 with Nvidia fixes, fully MATE desktop support. Before Ubuntu 15.04 final to be released on April 23, there will be also a RC release on April 16. This beta release includes images from not only the Ubuntu Desktop, Server, Cloud, and Core products, but also the Kubuntu, Lubuntu, Ubuntu GNOME, Ubuntu Kylin, Ubuntu Studio, Xubuntu, and a new official flavor Ubuntu MATE. Ubuntu 15.04 Beta2 official release note is here.